Are you tired of cleansers, toners & moisturisers ? Multi-use product: makeup remover, cleanser, toner & moisturiser. Specifically formulated for dry skin &/or matured skin. A handmade facial soap containing paw paw, carrot & orange essential oil. This multi-purpose product has 3 uses, as a cleanser, moisturiser and toner. 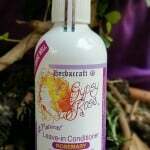 Specifically formulated for dry &/or matured skin. 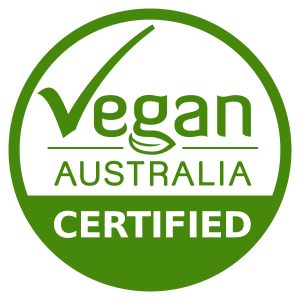 A Gypsy Rose Australia’s handmade Paw Paw, Carrot and Orange facial cleansing bar is completely biodegradable and cruelty-free. Most of all its especially revelant that it’s a multi-purpose product. Therefore you’re reducing waste, while indirectly helping our environment. 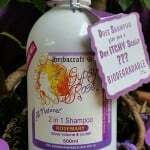 As a result because your using the same product for 3 uses -as a cleanser, toner and a moisturiser. This Facial Soap’s essential ingredients include paw paw, carrot and orange, which effectively removes the top layer of dead skin and freshens the underlying skin for a smooth, moisturised and firm look. The Gypsy Rose Facial soaps are most noteworthy as the original way of cleansing using cold water as your toner. They are cured for 3 months as a good old fashioned soap was made, also being pH balanced, they leave your face feeling smooth and soft. We shrink wrap for freshness to ensure that your skin is receiving all the benefits of our amazing ingredients. They must be used strictly following our instructions. Hence you will not get the full benefit of the added moisturising cold pressed oils. Paw Paw contains papain, an enzyme helps the appearance of anti-aging. Also may help skin lightening, aid in exfoliation and skin repair. Carrots are high in beta carotene, an antioxidant that is extremely high in vitamin A. Therefore can be good for entire body, not it seems, just the skin. Carrot oil can help to restore skin tissue and may aid the protection against the suns harsh rays. In skin care, it brings out the skin’s natural glow. Oranges are an excellent source of vitamin C. Most noteworthy in skincare it may help hide dark/age spots and blemishes/acne. Also it may improve skin’s colour while also helping with the appearance of signs of aging. QUESTION: What other products do I need? 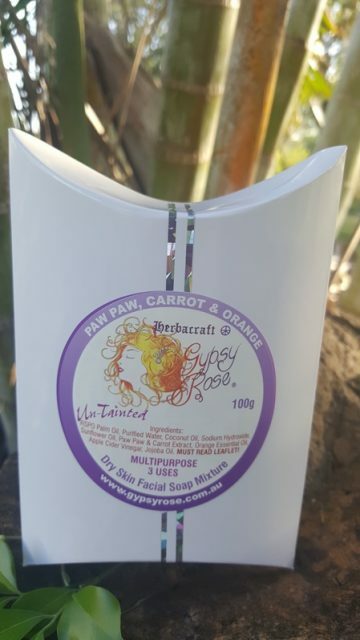 The Gypsy Rose Paw Paw, Carrot & Orange Facial soap mixture is a multi-purpose product, you do not require any other facial cleansing product to remove your face makeup. Nor do you need additional moisturisers or toners. 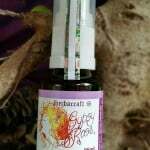 We do suggest however, that you use Gypsy Rose Rosehip oil to remove your eye makeup. QUESTION: Can I alternate between the three soap mixtures? Yes, you can alternate between the 3 soap mixtures depending on daily conditions. Or you can even combine the soaps for certain areas of your face; eg. use the Lavender, Clay and Apple Cider on oily areas &/or T-zone centre area, and the Paw Paw, Carrot and Orange on the outer dry areas of your face. The product will last approximately 3-6 months with normal facial use as it does not dissolve easily. We suggest using the product, once a day in winter and twice in summer. QUESTION: How do I store the product? To store, use our soap storage tin for long lasting freshness. Cut 1/4 slice as needed using a separate piece for body and face. The tin will hold 2 soaps. Hydroxides are usually sodium and/or potassium hydroxides, commonly known as soda lye, potash or caustic soda. True soap occurs in plants such as Soapbark (Quillaja saponaria), Soapberry (Sapindus mukorossi) and Soapwort (Saponaria officinalis) all containing main ingredient ‘Saponin’ which forms the foamy lather. The original recipe for soap was a fat (animal or vegetable) combined with ‘woodash’ (creating reaction of the alkalies in the ashes from a cooking fire) with water added to it (as a vehicle for the alkali). The purist form of this process today would be a true premium ‘castille’ soap made on 100% olive oil, unfortunately very few remain true to the original historical formulations without the additives of synthetic surfactants etc. Hydroxides is the synthesised version of this alkali and having a strong alkaline base that converts all those gorgeous cold -pressed oils,fruits,honeys & apple cider vinegar into a hard long lasting soap. Using a very low % of hydroxides and if the soap has been saponified and matured correctly the hydroxides are not present in soaps end result and contribute to a soap that leaves your skin soft. Without this ingredient and process your soap would be gone in 2-3 washes and would dry your skin out! Saponification is a name also given to the above chemical alkali reaction. Saponified oils (i.e. coconut ) on other soaps ingredients list is simply a name now used for oils i.e. coconut oil that has undergone the above process with a synthetic alkali-being no more natural than a quality soap made using sodium and/or potassim hydroxides, commonly known as soda lye,potash or caustic soda. 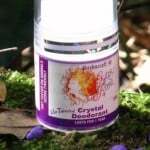 Commercial soaps can be not only too alkaline but these days also add all sorts of synthetic chemical cocktails to aid as preservatives, moisturising agents, anti-microbials & cleansers. This of course can be harsh and drying and has given the good old fashioned high quality ‘simple natural handmade processed’ soap of yesteryear a bad name. QUESTION: Why are facial soaps so expensive, aren’t they just soap? All soaps are not created equal! 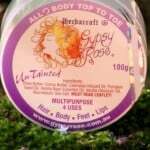 Try our soap mixture, and you will instantly see the difference between the Gypsy Rose range of soaps, and others. If you use our soap mixture correctly – following the instructions on the “instructions for use tab” you will be amazed at the softness of your skin. You will feel the difference that our cold pressed oil combinations make to the suppleness and elasticity of their skin. 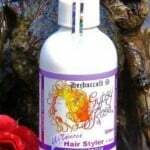 Remember: all Gypsy Rose products are handmade and cured using quality cold-pressed oils and vinegars. 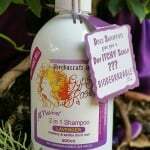 QUESTION: Why do you use Palm Oil in your soaps and where do you source it from? It makes our product last-longer. It reacts with the other oils to create the optimal moisturising effect, as well as the 3 multi-purpose actions (exfoliating, toning & moisturising). We source our Palm oil through an Australian company that has validated with us that our source is an active participant of the “Roundtable on Sustainable Palm Oil (RSPO)” RSPO is a not for profit association established under Article 60 of the Swiss Civil Code, and requires participants to stop deforestation through the conservation of High Carbon Stock forests including secondary forests by establishing mechanisms to trace the origin of the oil. Our Palm Oil is sourced only from well established 20yrs +) Palm Oil plantations that were converted from rubber plantations. There is no implications of present or planned destruction in these areas and none of them are located in Borneo or Sumatra. PLEASE NOTE: Please allow a 2 week trial to allow Paw Paw, Carrot and Orange Facial Soap Mixture to remove the top layer of dead skin and refresh the look of your skin. Apply one thin film of soap directly onto your face by wiping the soap once briefly with your hand. DO NOT OVER RUB, or you will over exfoliate and your skin will feel tight. No lather needed – rinse off with warm water. Finally, splash your face with cold water to close your pores. (This acts as a toner/astringent). Apply one thin film of soap directly onto your body by wiping the soap once briefly with your hand. DO NOT OVER RUB, or you will exfoliate and dry your skin. No other cleansing aids are needed when using this product as it effectively removes makeup. 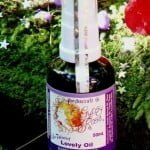 However, as the eye area is extremely delicate, we recommend that you use Gypsy Rose Rosehip oil to remove your eye makeup. If you want to use this product in the shower, simply follow the above instructions, and splash your face with cold water after you get out of the shower. 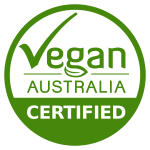 All Gypsy Rose products are handmade in Australia using cold pressed oils and 100% essential oils, fruits, vinegars, teas and rainwater from Australian ingredients. Please note: We always source Australian ingredients wherever possible, but sometimes this is not possible.